An extra special photo for you this morning… to make up for the fact that I left you high and dry last week! Sorry about that, do hope your Monday was a goodie all the same? 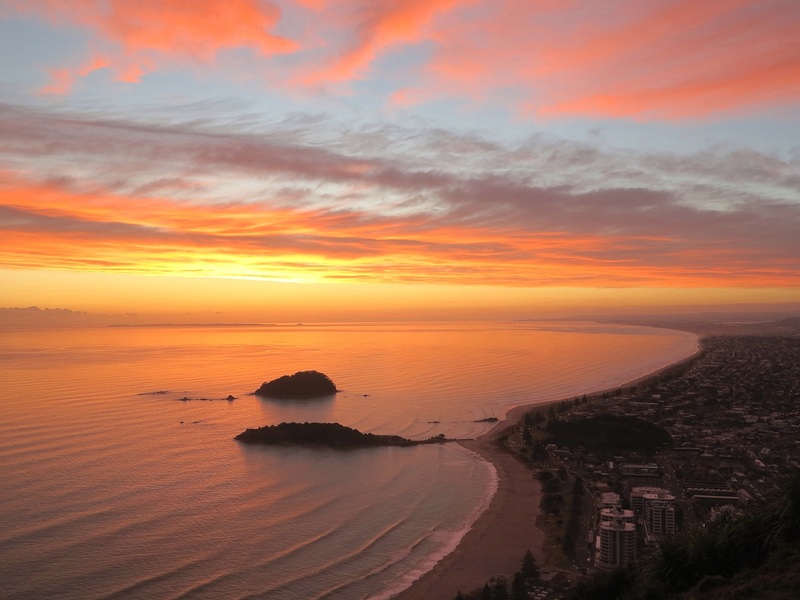 The most beautiful sunrise from the top of Mount Maunganui. There was a tough walk in the moonlight to get this spot by sunrise, but mother nature shone her stunning beauty and we witnessed one of the prettiest sunrises I’ve ever seen. North Island, New Zealand. March 2014. This entry was posted in dear monday, inspiration, peace, Photography, travel and tagged dear monday, dearmonday2015, new zealand, photography, sunrise, travel. Bookmark the permalink.